It is well known that red wine is good for the heart, but a recent report in the Journal of Agricultural and Food Chemistry suggests that a little good vino may reduce cavities and rid the teeth of decay-causing bacteria as well. The study, done by Spanish and Swiss researchers, used Pinot Noir in their scholarship and found that red wine decreased detrimental bacteria on teeth in lab setting. The human mouth plays host to hundreds and hundreds of different microbes and bacteria, and some of those can stay on teeth surfaces for some time, leading to cavities and tooth decay. Often, this can present itself as plaque or tartar. These bacteria can result in biofilms, or a group gathering of bacteria that can lead to more acids being produced, which can lead to more decay. Right now, frequent brushing and fluoride in treatments, toothpaste, or added to water, can help limit bacterial growth on teeth and plaque creation, but their effects are limited. Both carbohydrates and sugars are a favorite food of the bacteria that lingers on teeth’s surfaces. Tooth-decaying bacteria uses both as fuel to produce those detrimental acids. The acid wears away the tooth enamel and can cause the nerve to be exposed leading to pain and discomfort. It is thought somewhere between 60 to 90 percent of people in the world have some sort of oral disease. The researchers in the study hope to find an affordable and easy way to help alleviate this problem. The researchers previously asserted that polyphenols, which occur in wine and in green tea and cranberries, can slow down the growth of harmful bacteria. In wine, polyphenols exist in the stems, skins and seeds that are left behind after the juice is used to make wine. Polyphenols have been shown to stop the bad bacteria, known as streptococcus mutans, which occurs often in our mouths, from creating glucans, which is what causes bacteria to adhere to our teeth. Though cranberry juice also contains high amount of polyphenols, the sugar in it counteracts any benefits. The study tried to mimic real conditions by growing cultures of bacteria that are normally found in mouths and then immersing them in different solutions of red wine; red wine without alcohol, red wine that had grape seed extract added to it, or ethanol at 12 per cent. Of the ones tested, the red wine versions were best at getting rid of the bacteria. 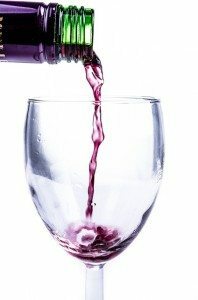 The report notes that, “Our results show that red wine, at moderate concentration, inhibits the growth of some pathogenic species in an oral biofilm model.” The researchers went on to say that “promising results concerning grape seed extract” could help lead to some product development for longterm care of oral bacteria. And, while you shouldn’t be rinsing your teeth with red wine just yet, it is an encouraging sign for oral care scientists. At Feldmanis Family Dentistry, your choice for dental implants in Eugene, OR we like to keep up on all the latest dental health news and are available to answer any of your oral health questions. We want to be your Eugene, OR dentist of choice, so please don’t hesitate to contact us today!